no email, no chat sessions, no Usenet newsgroups, no Web. This is the world of 1951. A citizen of this world who wanted to discuss common interests, politics, or world events with others on a national or international scale had few channels to communicate through. One promising channel was ham radio. Unfortunately, this method required an FCC license, an antenna, and the technical know-how to operate and maintain the transmitting equipment. Long distance phone calls didn’t require specialized knowledge, of course, but in 1951 a call from Chicago to St. Louis cost 30 cents per minute. This was expensive, being equivalent to $2.19 per minute in today’s dollars. Letter writing was not yet a dying art in 1951, but, just as with email today, letters lacked the expression of voice (the smiley face, ubiquitous in today’s email, had yet to be invented). Voice recordings were a more powerful alternative, and inexpensive compared to long distance calls. Photo 1. 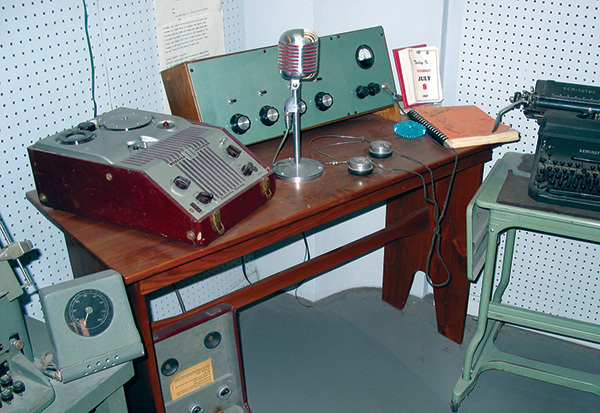 A wire recorder is sitting on the desk to the left. This exhibit is dedicated to the Roswell Incident of July 4, 1947, at the International UFO Museum and Research Center in Roswell, NM. Photo courtesy of the International UFO Museum and Research Center. By 1940, consumers could create their own sound recordings using record cutting machines. Portable units were available, combining the record cutter with a regular phonograph and radio. Record blanks were made of acetate or lacquer-coated metal disks and, by 1950, could hold up to 40 minutes of speech and music. Messages could be sent to anyone who had a record player, from family and friends, to servicemen overseas. 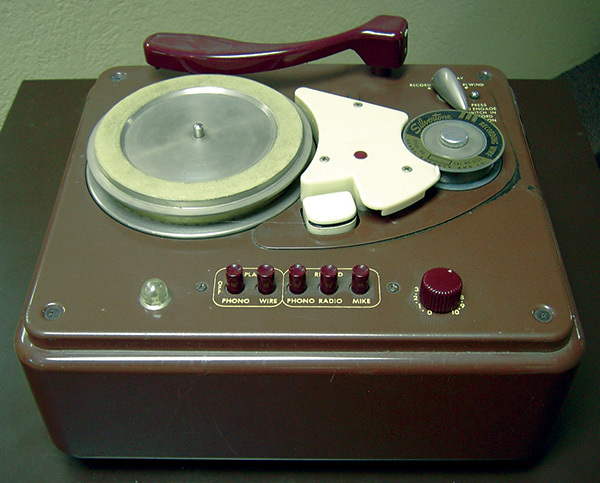 Unfortunately, record cutters were write-once devices — once the disk was cut, no changes could be made to the message. Photo 2. 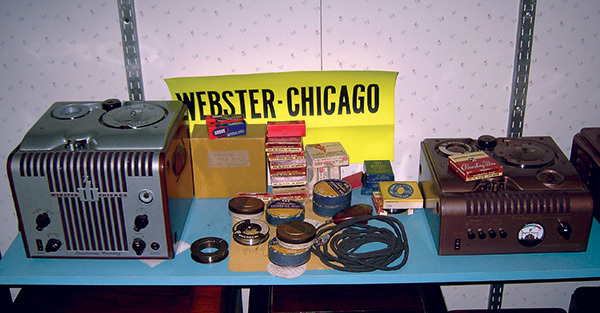 This is a Webster-Chicago Model 80, one of the most popular wire recorders available in the late 40s. It originally retailed for around $150.00. The stainless steel recording wire is extremely thin and could kink into a tangled mess easily. To help prevent this, the recording head oscillates vertically to bail the wire smoothly onto the reels. 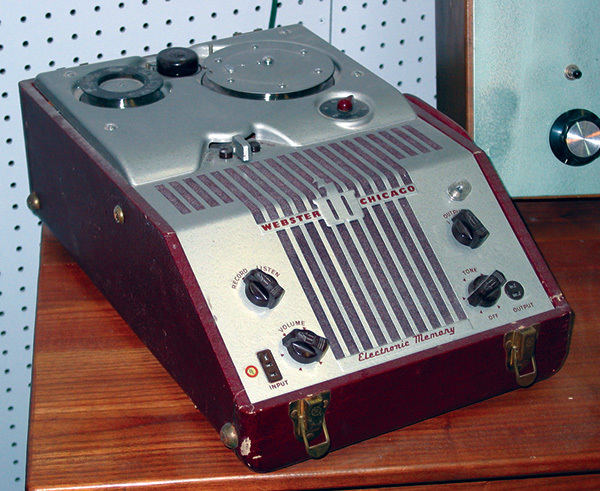 The magnetic wire recorder, ancestor to the tape recorder, had undergone great development during World War II. By the late 1940s, wire recorders were available in consumer equipment. Sears, Roebuck and Company sold at least two “Silvertone” combination models that included a wire recorder, phonograph, and radio. Wire recorders solved the editing problem inherent with cutting records, as parts of messages could be deleted or recorded over. Playback quality could be checked while a recording was being made, and separate wire recordings could be spliced together, as well. A spool of stainless steel recording wire was more expensive than a record blank, but could hold over an hour of audio. Photo 3. Model 181, to the left, cost about $100.00 and featured a Magic-Eye tube as a recording level indicator. Model 228, to the right, was designed for business dictation. Webster-Chicago made several variations of its basic models. 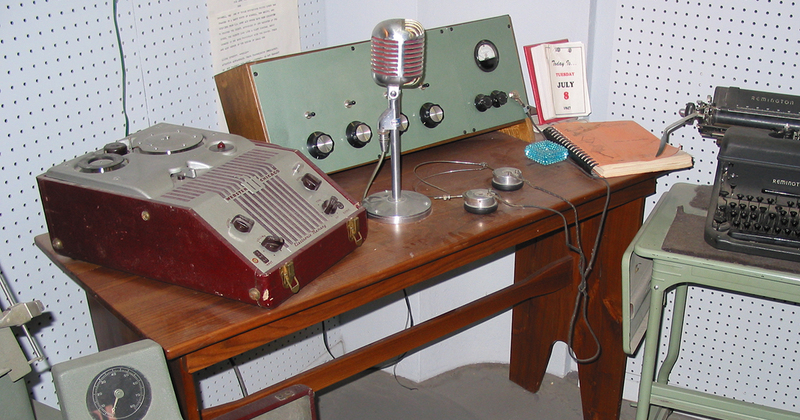 These units, and the Silvertone models shown elsewhere, are on display at the Museum of Radio and Technology, Huntington, WV. Photo courtesy of Richard Post. Recording a message on a wire spool and mailing it off to family and friends became a growing fad called “wirespondence.” Webster-Chicago, a company that produced audio equipment including wire recorders, created the Wirespondence Club in 1950. This effort was spearheaded by John Schirmer, an employee of Webster, who saw the power of corresponding by audio recordings. In 1948, the Soviet Union blockaded West Berlin where Schirmer’s mother lived. During the massive US and British airlift supply campaign, one of the pilots ordered a wire recorder from Webster. Schirmer, being in the export department, recorded a 15 minute message for his mother and shipped the spool along with the recorder. Thanks to the pilots, a flow of recordings to and from blockaded Berlin began. Photo 4. This is a Silvertone combo unit, manufactured by the Colonial Radio Corporation for Sears, Roebuck and Company. The rim of the turntable acts as the takeup reel for the wire recorder. In the first three months of the formation of the Wirespondence Club, membership had reached 830, with members representing 20 countries besides the United States. By late 1952, the Club had grown to over 1,900 members from 35 countries and all 48 states (Alaska and Hawaii had not yet achieved statehood). Members came from all walks of life, including scientists, ministers, farmers, artists, and bankers. Topics of interest were wide-ranging, involving politics, language, music, and descriptions of the scenery in the sender’s local area. Photo 5. 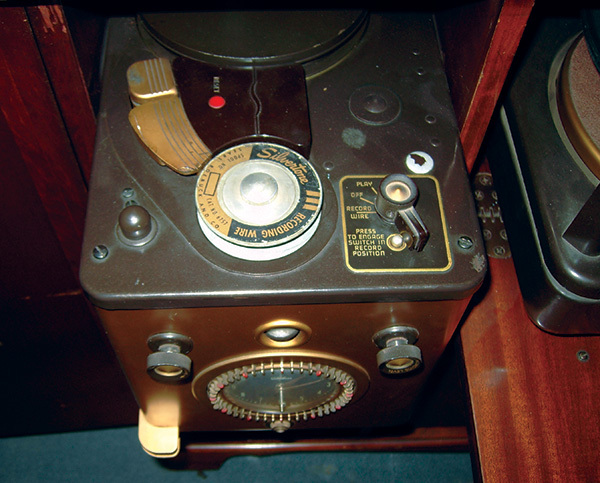 This is the wire recorder portion of a Silvertone console unit, containing a separate phonograph and radio. The recorder could be controlled by the clock/timer on the front, allowing radio programs to be recorded while the listener was absent.